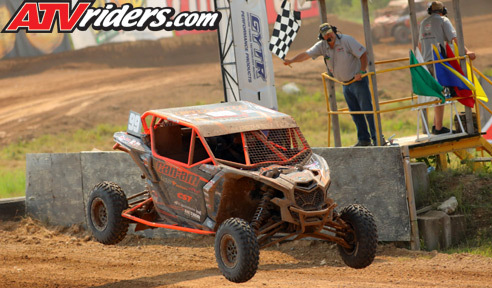 Connellsville, PA (8/22/2018) - BAK40 Motorsports, with drivers Tim Farr, Eric Gordon, and Thomas Reihner, posted consistent and successful results during the Lucas Oil Midwest Short Course League Pro Modified UTV races at Bark River International Raceway. The trio was running Can-Am X3s in the races held at the Michigan facility. Warm temperatures and clear skies during the weekend made for great racing. The fast and technical track is always a favorite on the tour as it offers some of the fastest and most competitive racing. Though high intake temperatures hampered his efforts, Farr used his veteran skill to earn a third-place finish in Saturday’s race. Shaking off bad luck that slowed his charges in the last two events, Farr drove a perfect race to land on the podium. 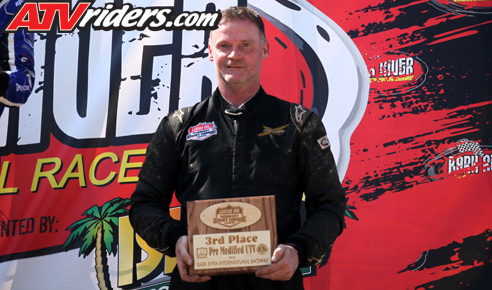 Reihner backed up Farr’s efforts with a fourth-place finish on Sunday. After experiencing technical issues on Saturday, Reihner got a ray of good luck in Sunday’s race. Gordon charged to 11th on Saturday after getting stuck in traffic early in the event. He had mechanical issues on Sunday, but was happy with the team’s results overall. The team was running CST’s Dingo tires during the events. With the track going from slick and wet at the start to dry and dusty at the end of the eight-lap races, the team appreciated the consistent grip provided by their CST tires. They were also running a new graphics package on their three cars. 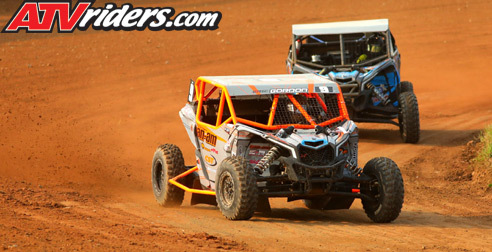 With similar designs, but different color schemes, the SSI Decals graphics looked stunning during the weekend. 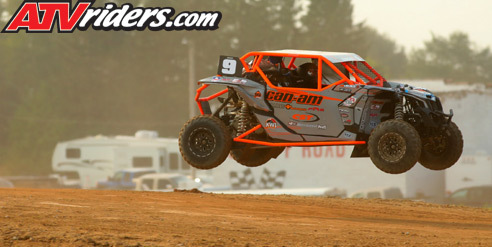 The team is preparing to put on a big show at the season finale in Crandon, WI. Along with giveaways, T-shirts and more, the team is preparing to put its best effort so far this year into the closing race. 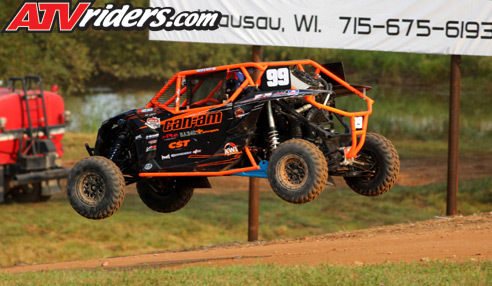 BAK40 is back in action and will be ready to roll as the Midwest Short Course League closes out its season August 31-September 1 at Crandon International Raceway.